A phone menu, or IVR menu, is an automated greeting that routes callers through options on the keypad. Businesses use phone menus to provide information to callers and automate call routing. With a phone menu, calls are managed through a central system and then routed to employees. Small business phone systems like Telzio offer easy-to-use solutions to create and manage your own phone menus. Setting up a custom phone menu for a small business can be done in a few simple steps. Through the Telzio website, you can create a phone menu and call routing options such as this one. Continue reading to learn how you can set up a phone menu with Telzio in 3 steps. Start by choosing a local or toll free number for your business. If you already have a business phone number, you can port the number with no downtime. You can assign multiple phone numbers to the same phone menu. This means you can give your customers the option to call your local, toll free, or international number and direct them to the same phone menu. Telzio offers local and toll free numbers from over 50 countries that you can browse and register instantly. Once you decide on your phone number, you can start designing your phone menu. Decide what options to give your callers (i.e. press 1 for sales, press 2 for support, etc. ), and prepare a script for your greeting. The greeting should contain instructions for your callers on which options they have to choose from in your phone menu. Once you've settled on your options and greeting, you can customize your phone menu options in the Telzio UI. 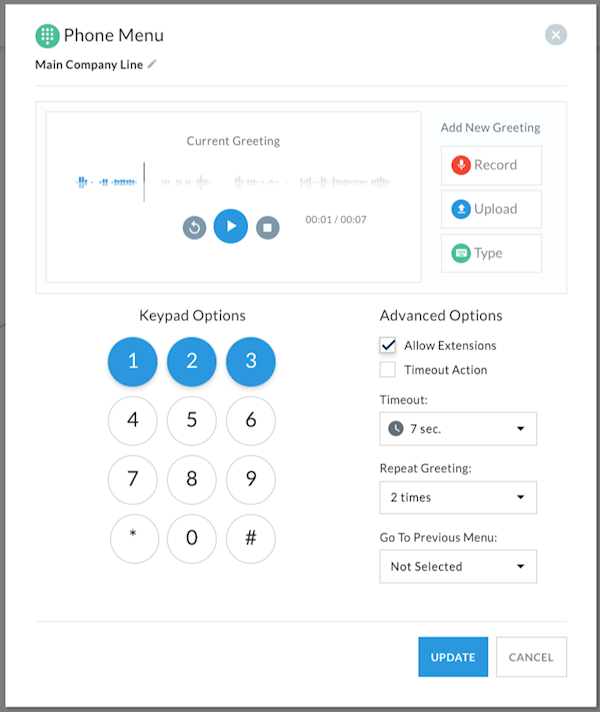 Once you've finished adding your menu options and greeting, you can set up your call routing details. 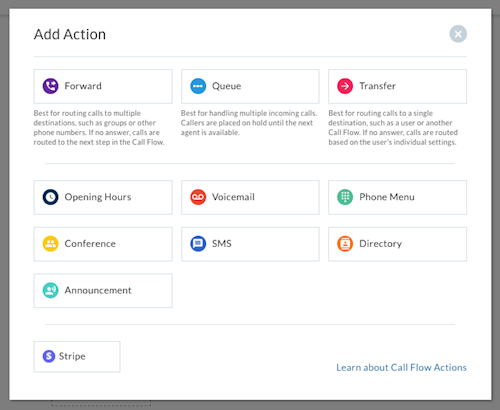 Using Call Flows, you can visually design call routing for your business. 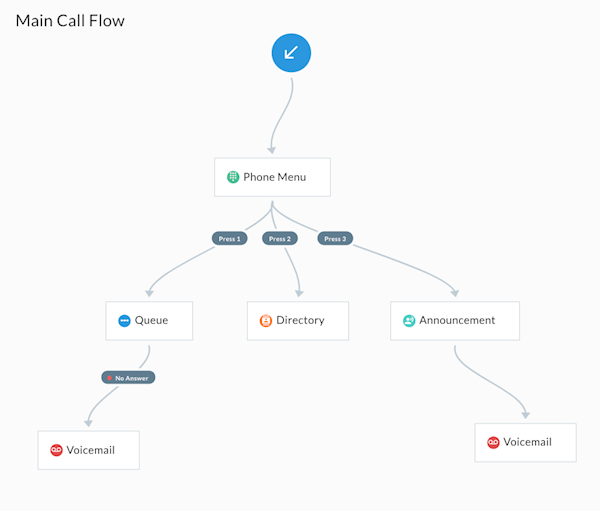 A Call Flow is a visual diagram or flow chart of the steps your caller goes through when they call your business. The Call Flow is made up of the different calling features that Telzio offers. In this case, we're starting the Call Flow with a phone menu. Following the phone menu, you can route callers using a number of different features that Telzio provides. and even a pay-by-phone option. We're here to help. Request a quick demo to explore all the features. Phone menus can be as complex or simple as you design it. 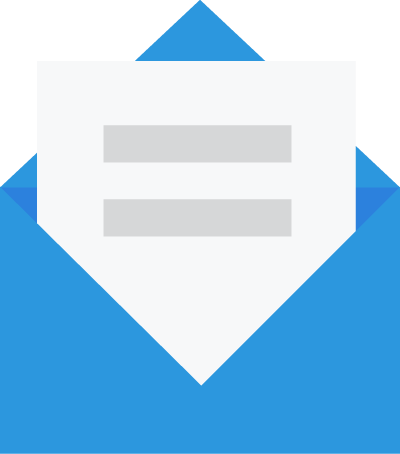 Automated phone menus can be used to efficiently route callers to the right team or to deliver messaging to customers, without paying for a receptionist 24 hours. With Telzio, you can start with a basic phone menu and incorporate business hours, hold music, call screening and other advanced features into your small business phone system as needed. The key to choosing a phone menu solution is finding a provider that does not charge for additional features if you choose to add them later down the road, and will allow you to make changes to your phone menu anytime through a web-based DIY platform.